Chris Swann studied at the Royal Academy of Music where he won the Geoffrey Hawkes Prize for clarinet playing and was awarded the Alexander Roller Prize for Piano Playing, subsequently spending twelve years as a clarinettist and saxophonist in the Royal Liverpool Philharmonic Orchestra. 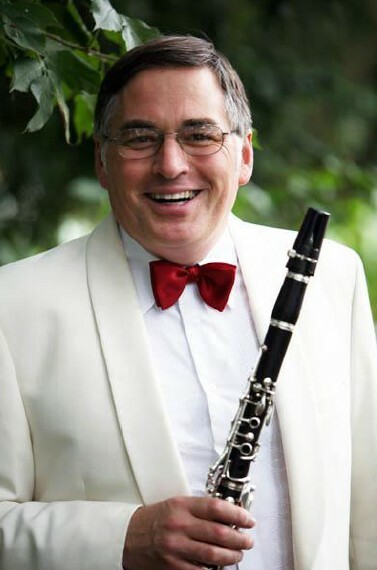 Chris resigned his position with the RLPO in order to pursue a varied freelance career, playing Principal Clarinet with the BBC Symphony, Royal Philharmonic, BBC Philharmonic, Hallé, Ulster, Scottish Chamber, Manchester Concert, National Symphony and Sinfonia ViVA Orchestras. He has made a number of concerto appearances including performances of Glazunov’s Saxophone Concerto, Debussy's Rhapsodie for Saxophone and Mozart’s Clarinet Concerto with the RLPO, and he has toured as soloist with the Mozart Festival Orchestra (in Manchester, Dublin, Leicester and The Barbican in London) as well as performing the Finzi, Copland and Weber Clarinet Concertos and solo works with various other professional orchestras. In December 1992 he was appointed Acting Orchestra Manager with the Royal Liverpool Philharmonic Orchestra, taking up the full-time position in April 1993, relinquishing it in August 1995 to become Head of Woodwind at Shrewsbury School, a part-time post which he successfully combined with a busy schedule of regular playing engagements. In July 1998 he joined the Royal Northern College of Music as Tutor in Clarinet and Eb Clarinet. As well as directing his nationally recognised ensemble ZEPHYR Chris has also performed chamber music with the Maggini, Allegri and Alberni String Quartets and a wide variety of repertoire with members of Northern Chamber Orchestra the RLPO’s Ensemble 10:10 and Camerata Ensemble of Manchester. This work, combined with examining for the Associated Board of the Royal Schools of Music (graded and diploma), external examining for universities, coaching, conducting and presenting master-classes allows him little time for leisure interests which include activities such as cycling, motorcycling and studying the contents of wine bottles.